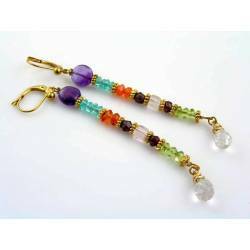 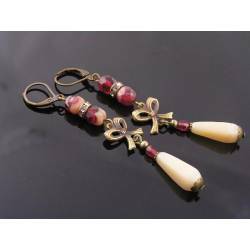 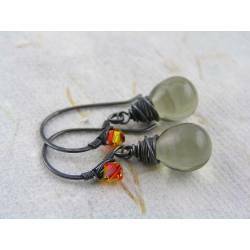 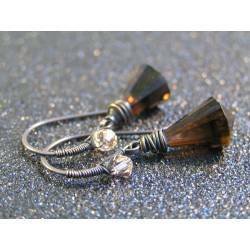 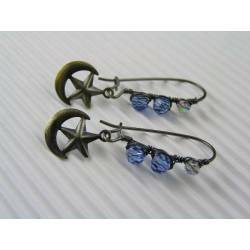 Fun earrings in a smaller, sleeper style. 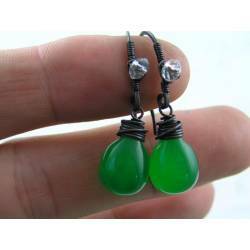 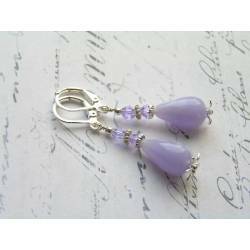 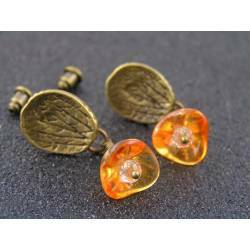 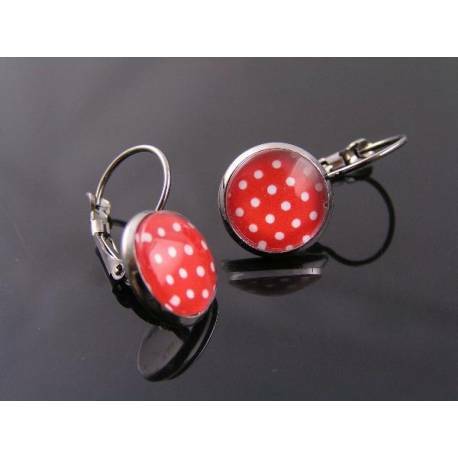 These smaller size earrings are really cute, not just the theme, but also the size. 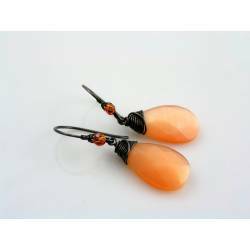 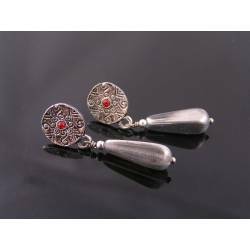 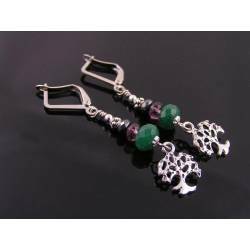 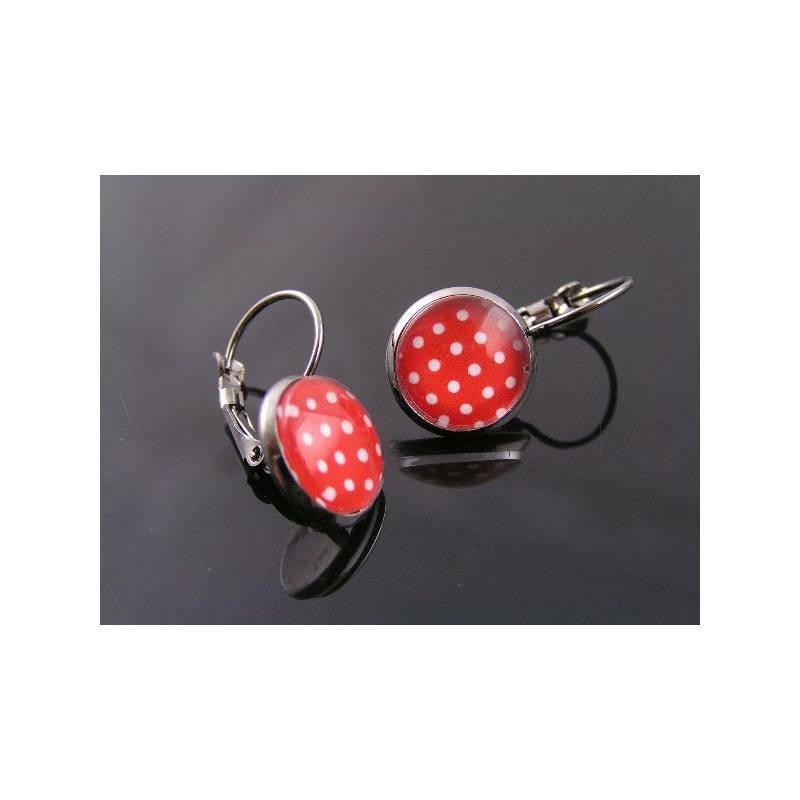 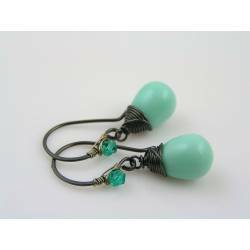 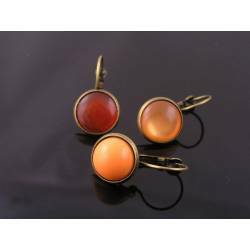 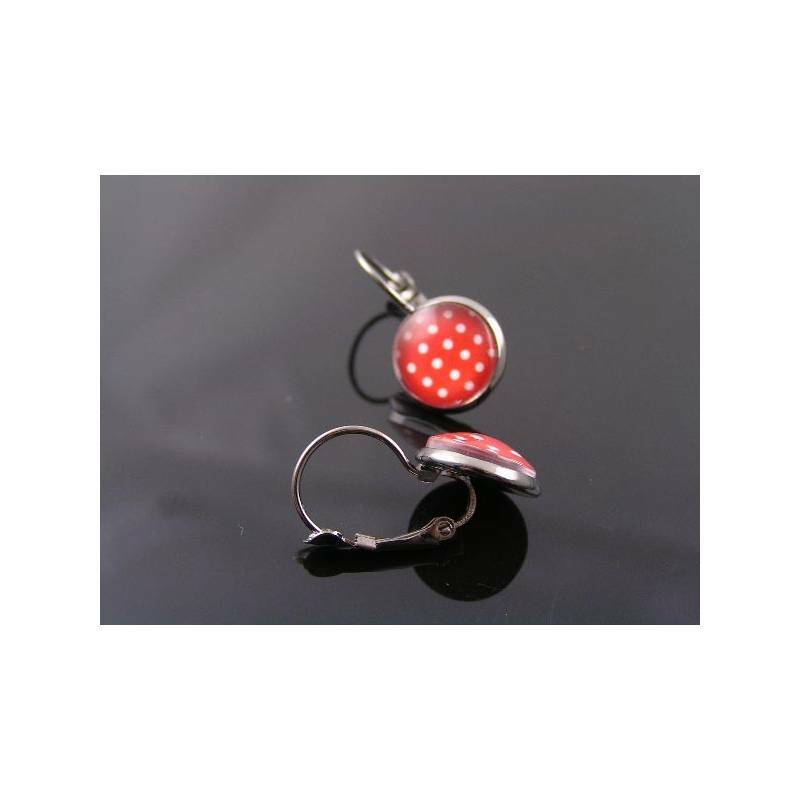 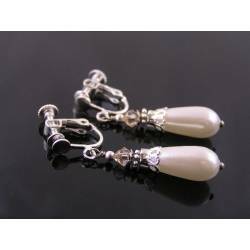 They are so called 'sleeper' style earrings with a bezel set shiny polka dot cabochon attached right to the secure lever back ear wires. 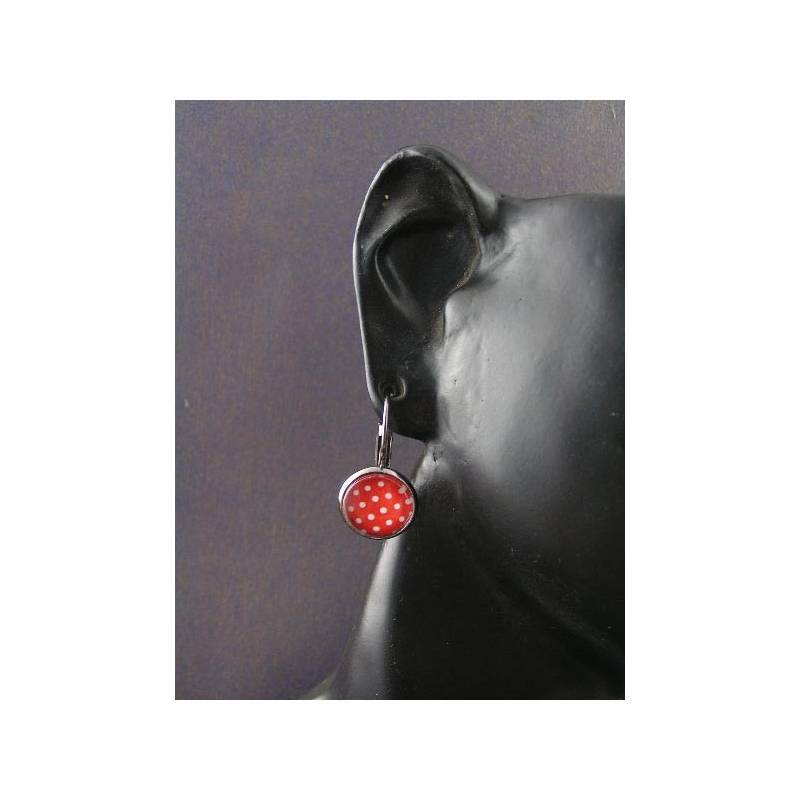 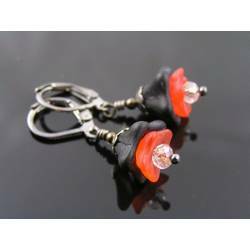 The ear wires are shiny gunmetal finished which is a great contrast to the bright red and white polka dot cabochon. 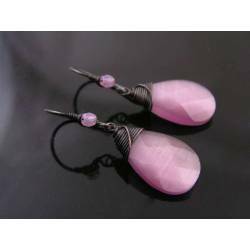 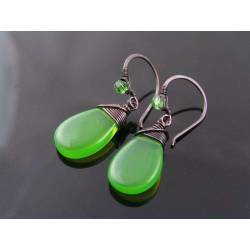 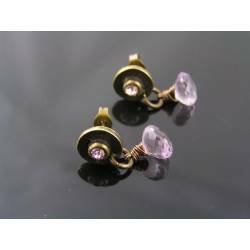 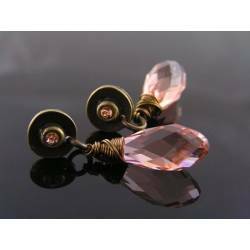 Total length of the earrings is 25mm, 1". 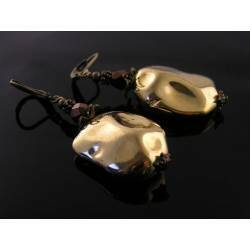 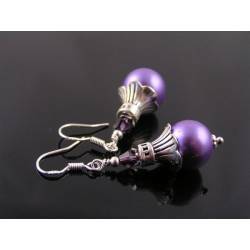 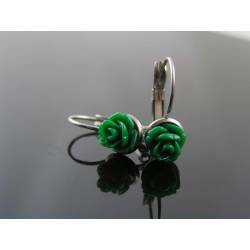 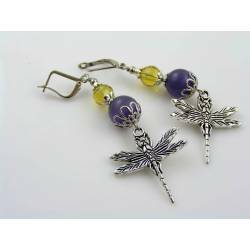 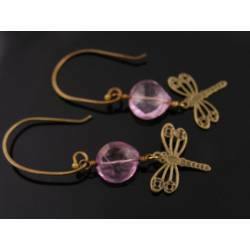 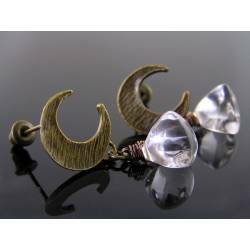 *The last photo shows some other sleeper style earrings I will be listing shortly. 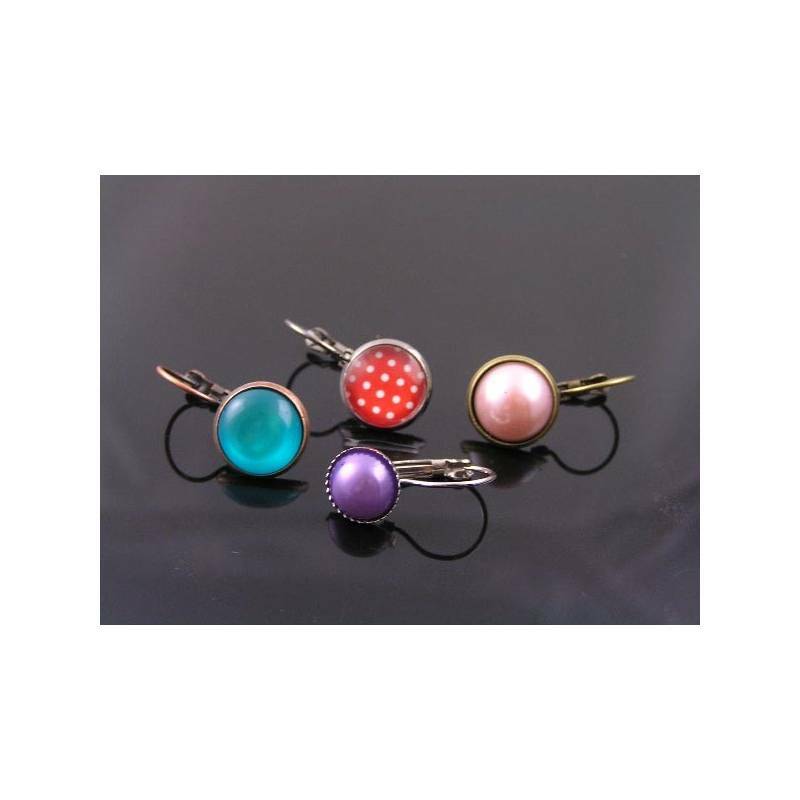 They are ready to go so please let me know if you are interested.